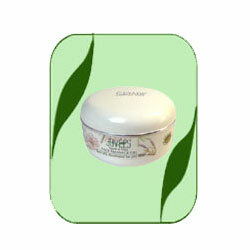 Improves Skin Texture and making Visibly Fairer and Radiant. Apply all over face and neck. Massage gently for 15-20 minutes using outward and inward strokes. Remove with moist cotton swab and wash thoroughly with plain water. Aloe Vera, Apple Green Ext, Cucumber Ext and Honey.